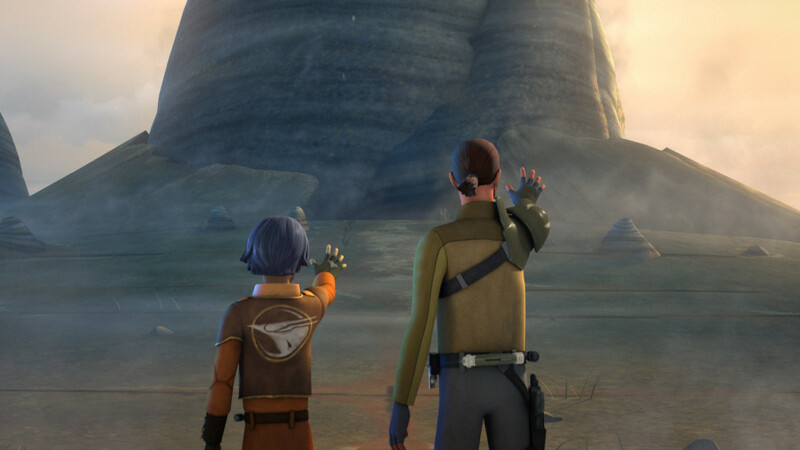 How the work of McQuarrie and more helped shape the world of Star Wars Rebels. 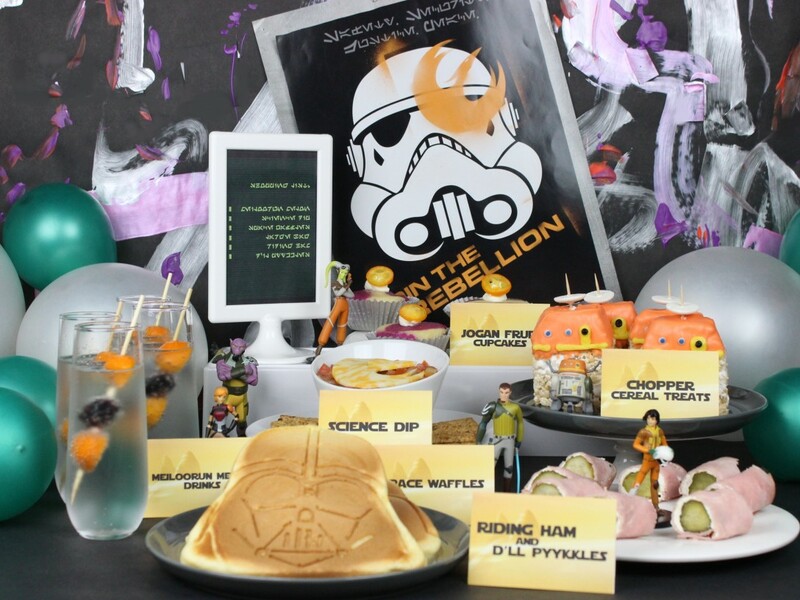 Many elements come together to form the spirit of the original Star Wars trilogy. The visuals, the dialogue, the overall tone — they feel like Star Wars and nothing else. 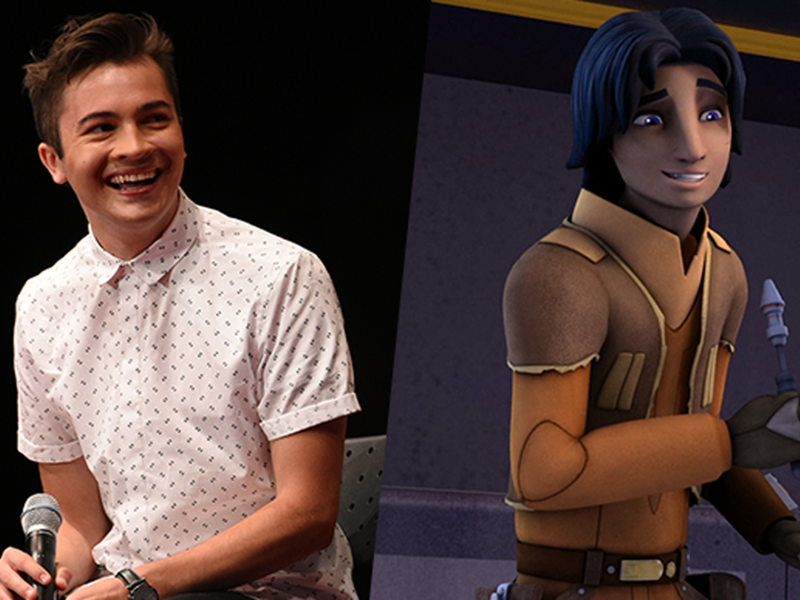 With Star Wars Rebels, which is set roughly five years before A New Hope, capturing that spirit was essential. One could argue that the show would feel inauthentic without it. 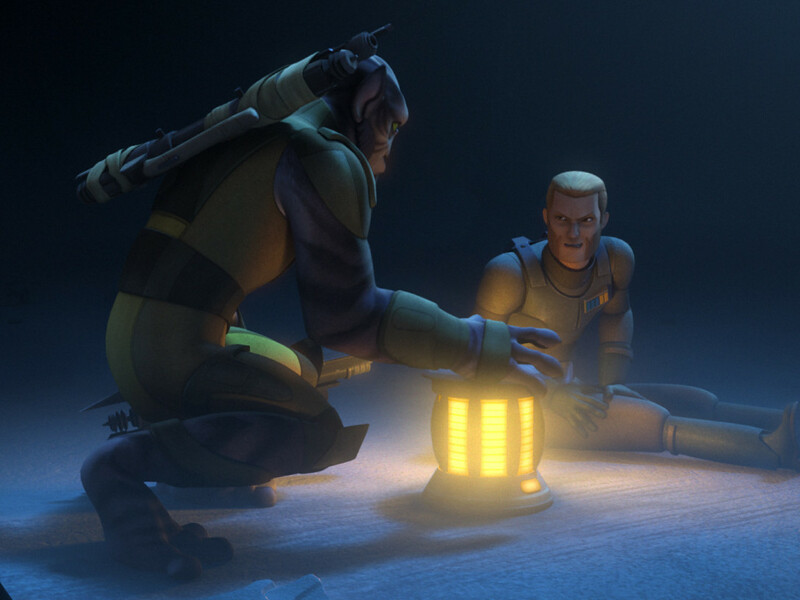 But Star Wars Rebels captures it masterfully, and in numerous ways. 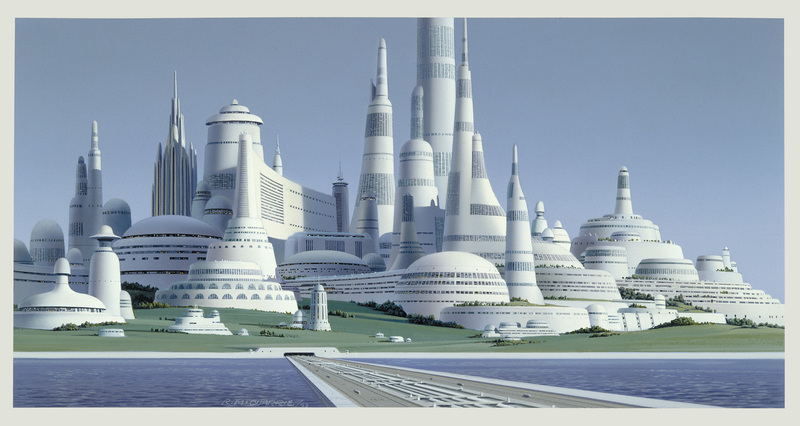 Ralph McQuarrie concept art from the original Star Wars trilogy. 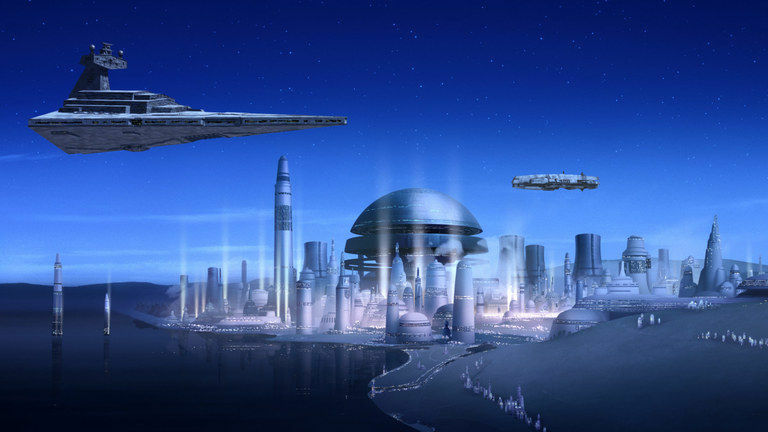 Lothal Capital City, as seen in Star Wars Rebels. Beyond the McQuarrie influence, Rebels also embraces the overall aesthetic of the original trilogy, from the design of spacecraft and landspeeders to the same well-worn appearance of a gritty universe. 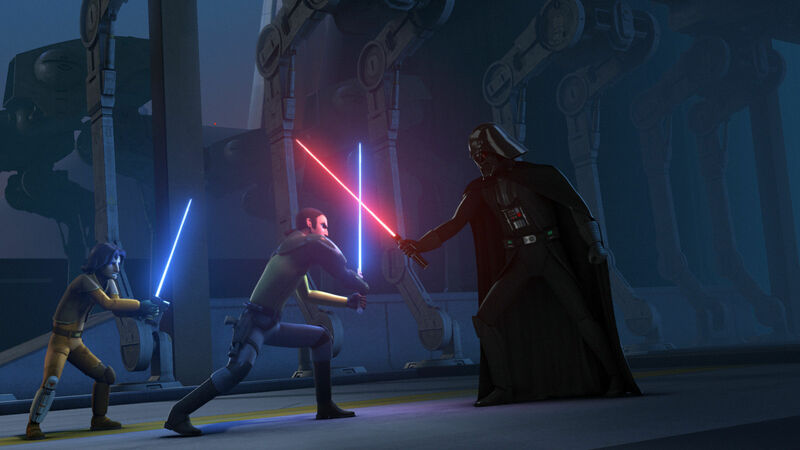 Significantly, Filoni worked with Rebels VFX lead Joel Aron to replicate the visual style of lightsabers not seen since A New Hope. “Joel Aron and I very consciously decided to make it like what you saw in the ’70s,” Filoni told Nerdist.com. “The lightsabers that we’re putting in Star Wars Rebels are very much the long thin slender blade that is just more like a fencing rapier…. And they oscillate. They actually quiver.” Other efforts included matching the original visual and sound effects of the trilogy, such as the scream of a TIE fighter and their white-cloud explosions from A New Hope. There are many more connections to the original trilogy — the expansion of Tarkin as an evil force, Darth Vader (voiced by James Earl Jones) in all his tragically-evil glory, and much more. But to list them all would spoil the fun of discovering them on your own. 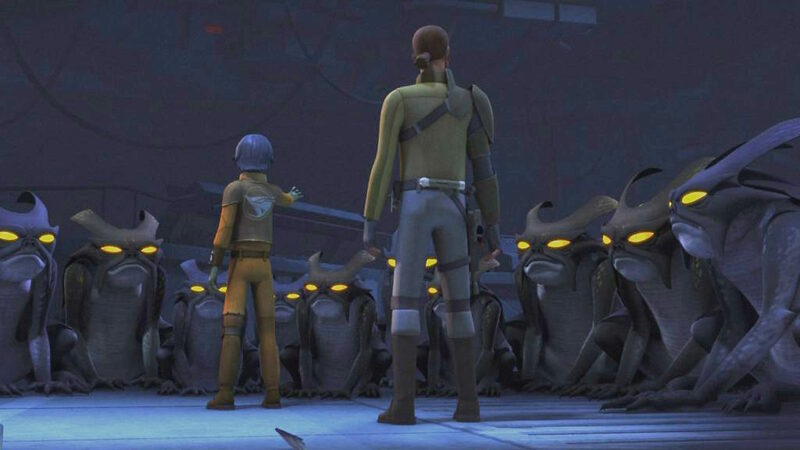 For those who loved the original trilogy, but who have not yet watched Rebels, now is the perfect opportunity to immerse yourself in the newest Star Wars adventure. 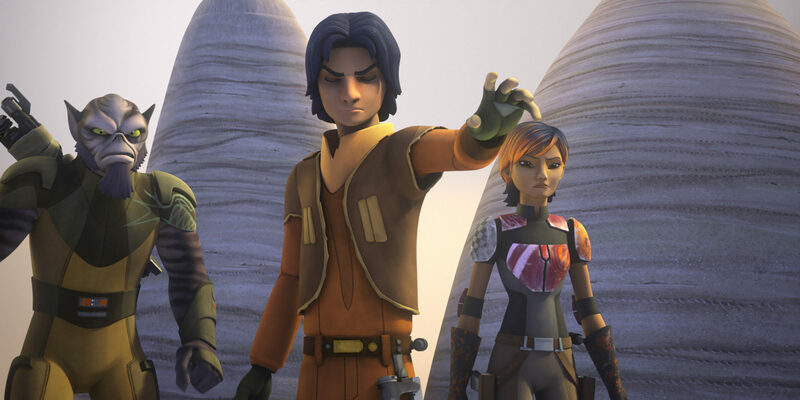 For those who are already fans of the crew of the Ghost, it is the perfect time to sit down, re-watch and re-appreciate the DNA shared between Rebels and the three chapters of a story that began a long time ago. Ross Brown, a mild mannered attorney by day, has been frightening friends, family, and random strangers with his passion for Star Wars since the 1990s. Currently, he channels much of his enthusiasm into writing about the galaxy far, far away online at Brown’s Review, encompassing the Star Wars films, television shows, books, and comic books within his purview.